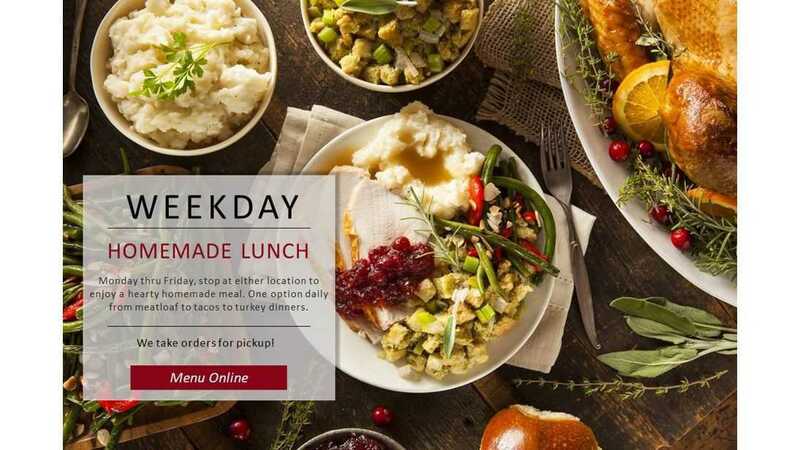 Easter Meal Deals - Call to order your Easter Ham Today! | Leg of Lamb - $6.49/lb. 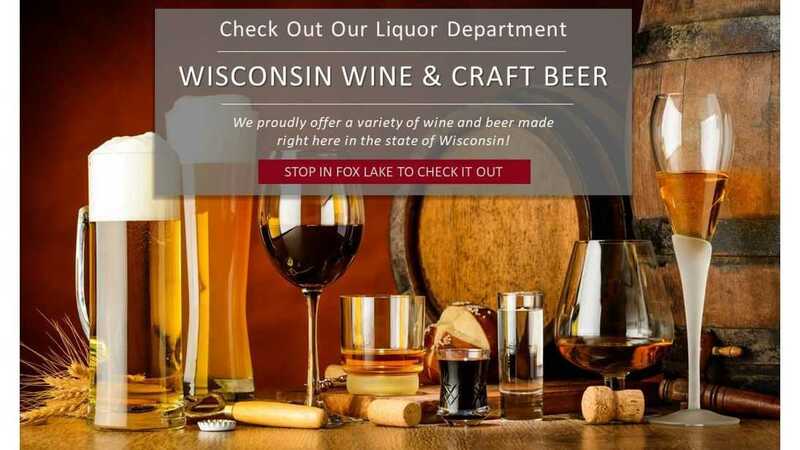 ... And NOW Serving Fox Lake WI! 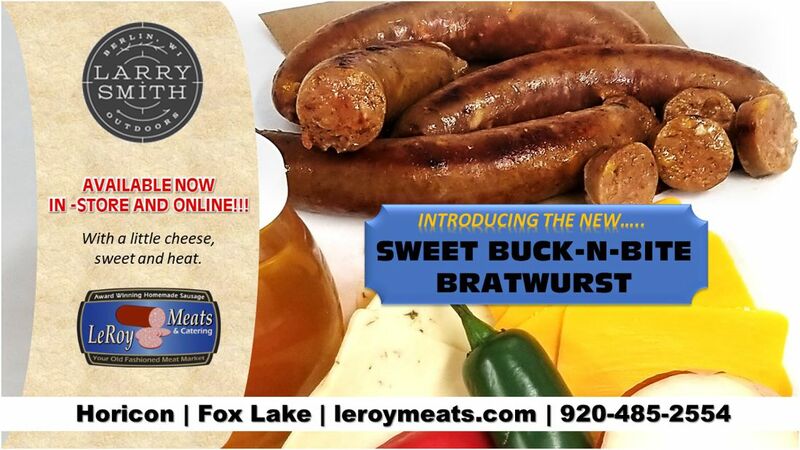 "Order Online from Your Old Fashioned Meat Market"
LeRoy Meats & Catering is an old-fashioned meat market in Horicon with our newest store in Fox Lake WI. The company history dates back almost 100 years to its original market in the town of LeRoy. 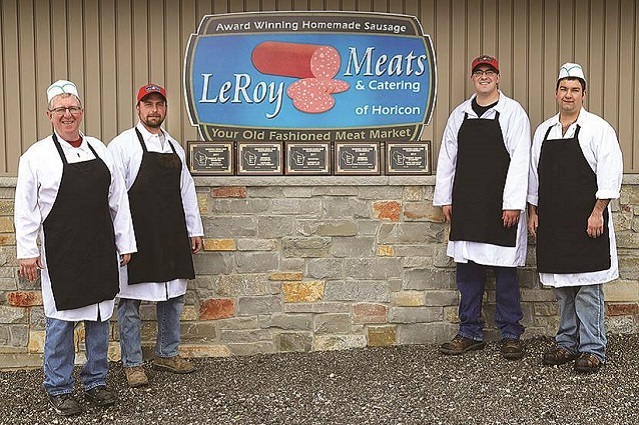 LeRoy Meats has a long tradition of having the freshest cuts of meats combined with award-winning homemade sausage products. Be sure to check back each month for an awesome money saving coupon to be used in our Horicon or Fox lake locations. 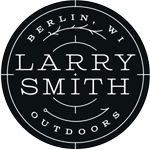 We are now a proud sponsor of the Larry Smith Outdoors Show. Watch videos of hunting & fishing tips & tricks, extra show footage, fishing guides, wild game cooking recipes with Shotgun Chef, bloopers, funny videos and most importantly kids in the outdoors!. Over 100 varieties of homemade sausage. Our Super Saver Packs enable you to order in bulk and $AVE! 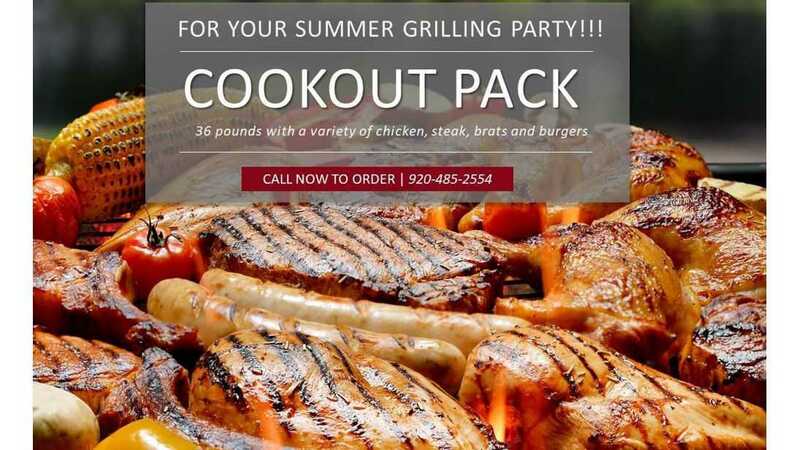 We will cook all the food for your party plans. Fresh baked buns and bread, made daily. Delicious homemade deli items featuring our famous homemade potato salad and baked beans. 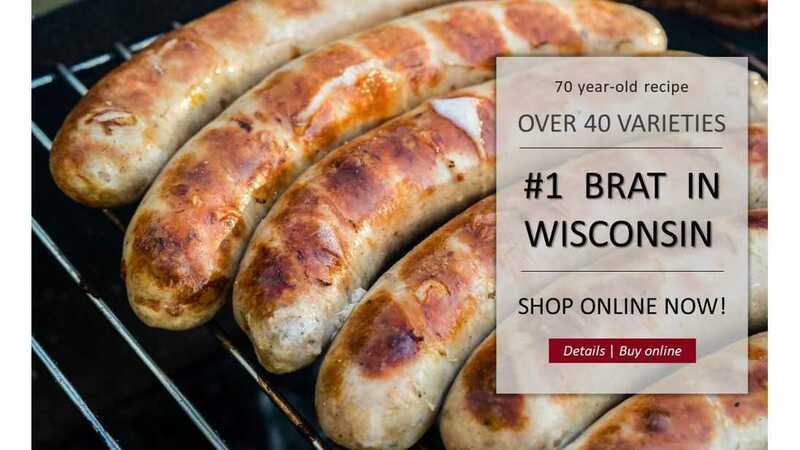 Our smoked meats and sausages have won numerous awards including "Best in Wisconsin". Complete venison and wild game processing, making the finest in venison sausage products. 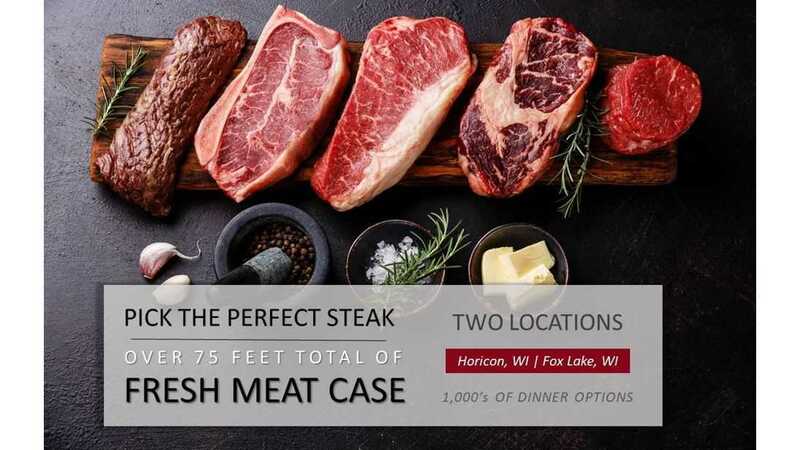 Page Summary: Leroy Meats is a local butcher and meat market with locations in Horicon and Fox Lake, WI. 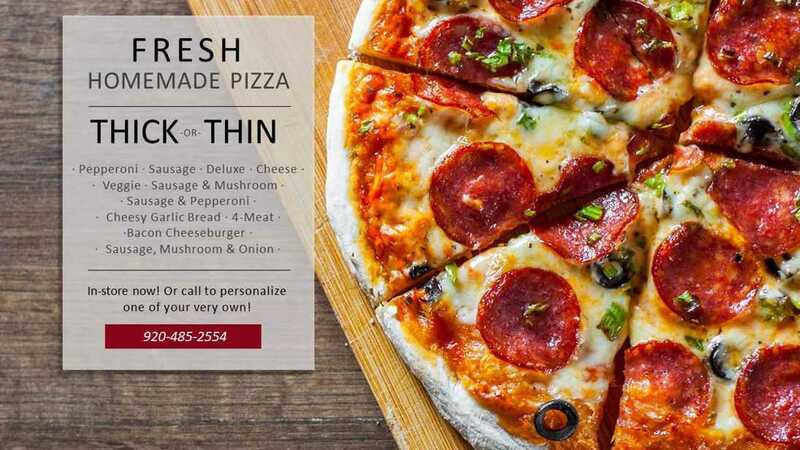 We specialize in fresh deli meats and great lunch specials in both stores, with online ordering and shipping of Bacon, Bratwurst, Smoked Sausage, Summer Sausage, Snack Sticks, Beef Jerky, Sauces and Seasonings, our bulk meat Super Saver Packs and over 100 varieties and 7 brands of Wisconsin Cheese. Our meat shops feature quality meat for Mayville, Juneau and Beaver Dam, as well as Watertown, Waupun and Hartford. We also service Slinger, Campbellsport and beyond.